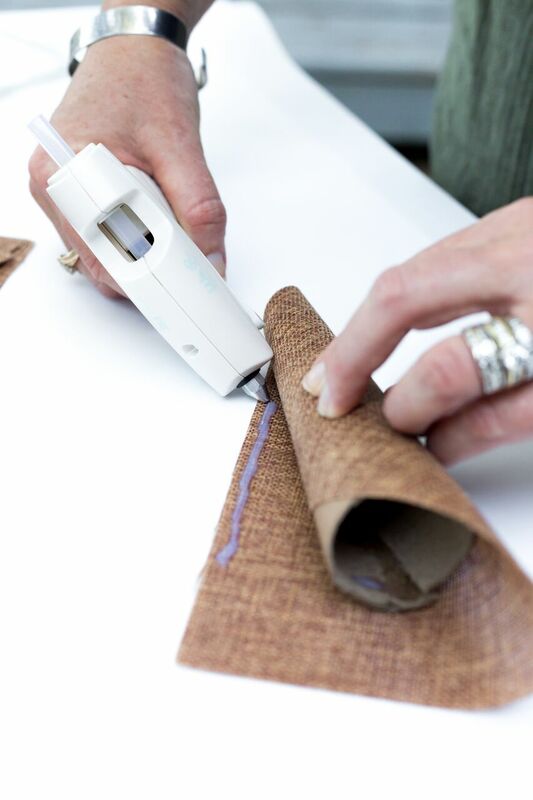 This post first appeared over at HSN’s The Buzz where I am a contributor. 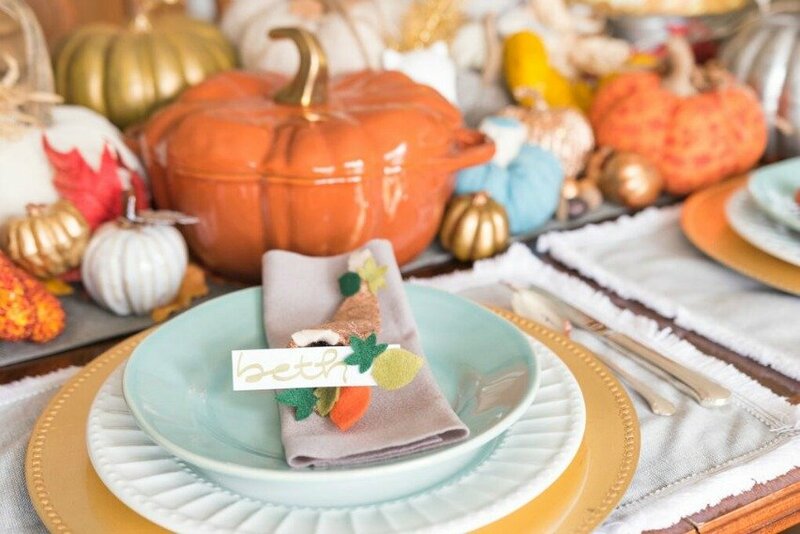 Add that extra handmade touch to your Thanksgiving table, by making your own Cornucopia Place Card Holders! 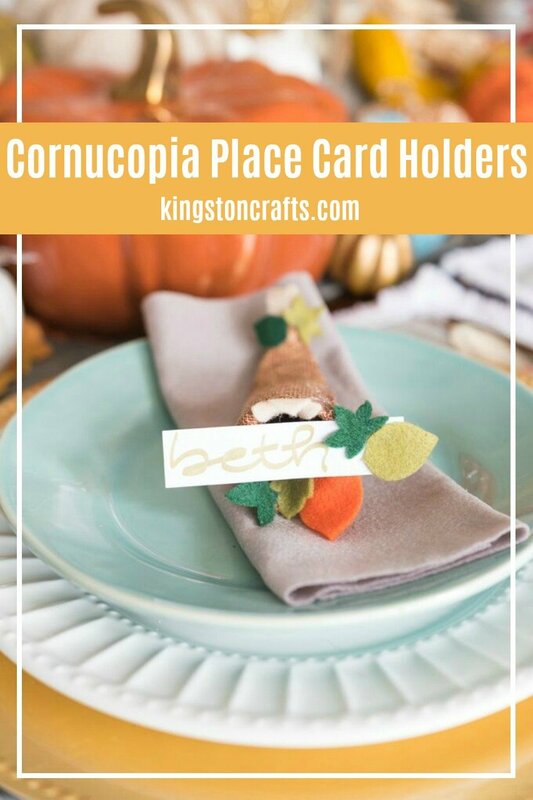 Make your Thanksgiving table a little more special with these custom cornucopia place card holders using a few craft supplies and some items you have around the house. 1. 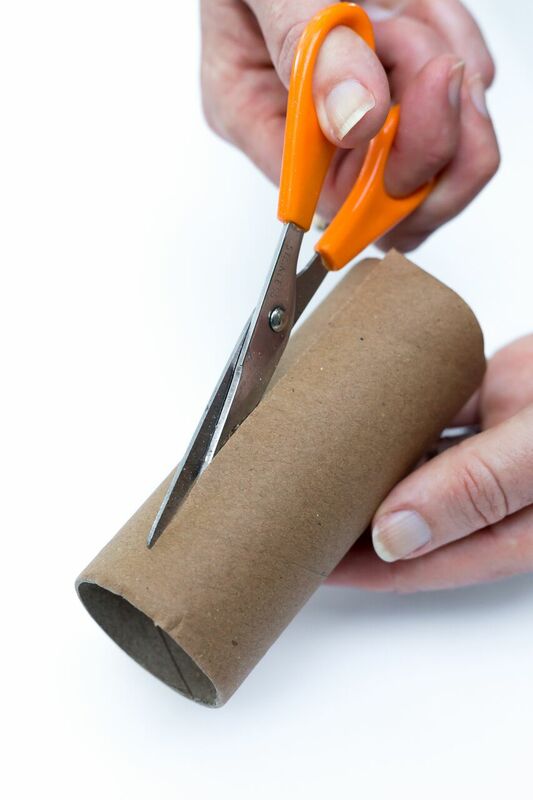 Cut a toilet paper tube in half the long way. 2. 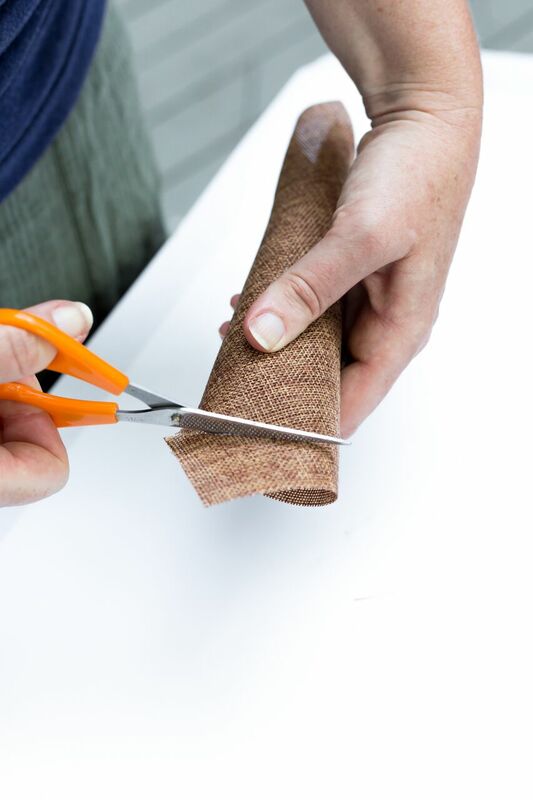 Apply hot glue to one inside edge of the tube and overlap one end until you have formed a cone shape. 3. 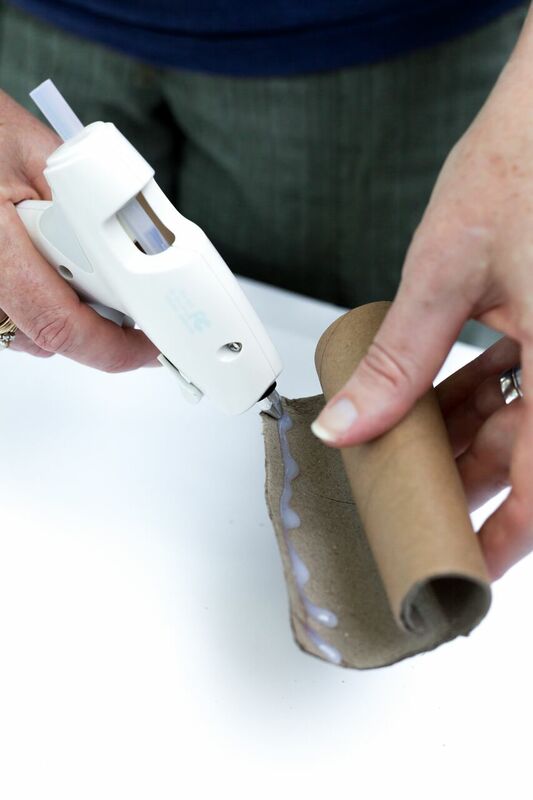 Use a small piece of aluminum foil to create a “tail” and insert it in to the skinny end of the tube. 4. 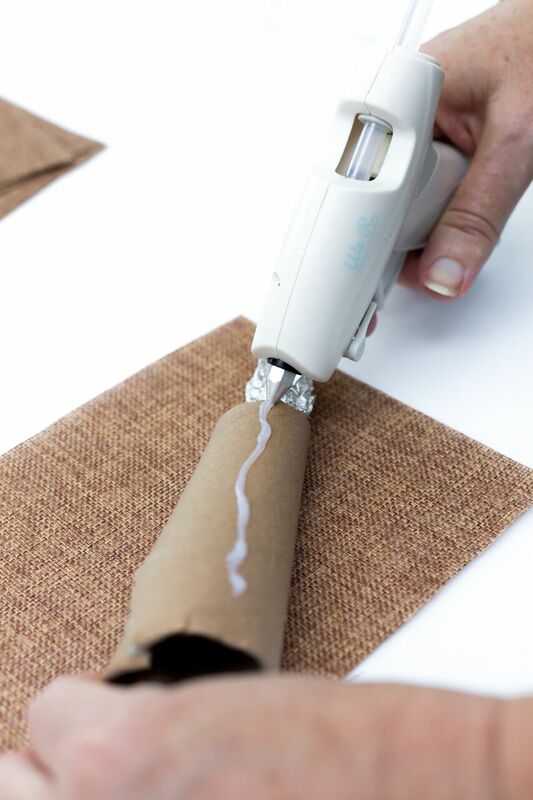 Apply hot glue along the top of the tube then roll the burlap until it covers the tube. 5. 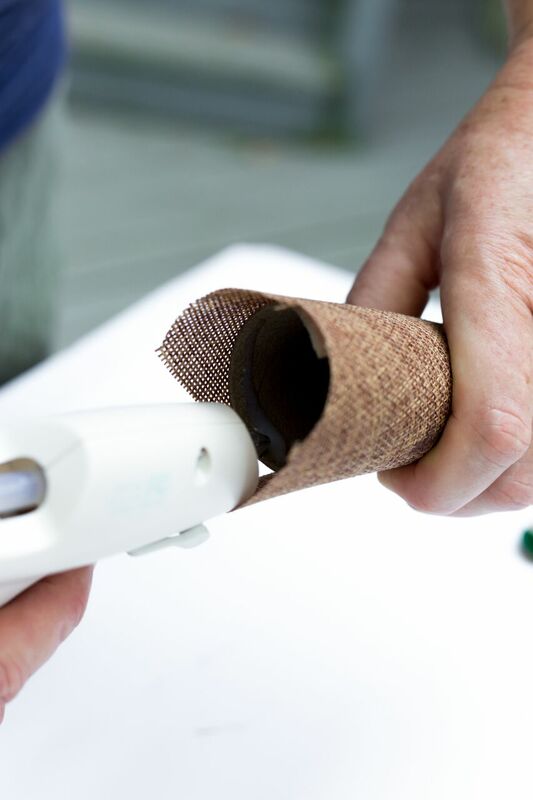 Secure the other end with hot glue. 6. 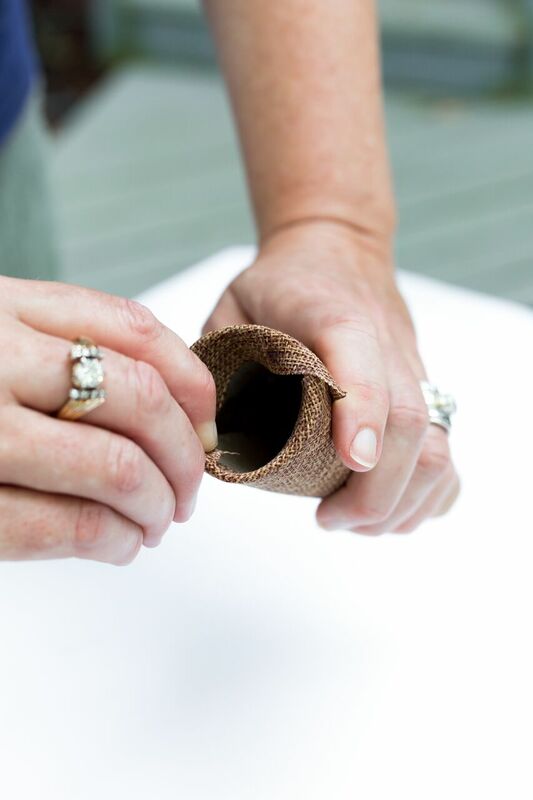 Cut some of the excess burlap from the open end of the tube, then add hot glue around the inside of the tube and tuck in the burlap ends. 7. 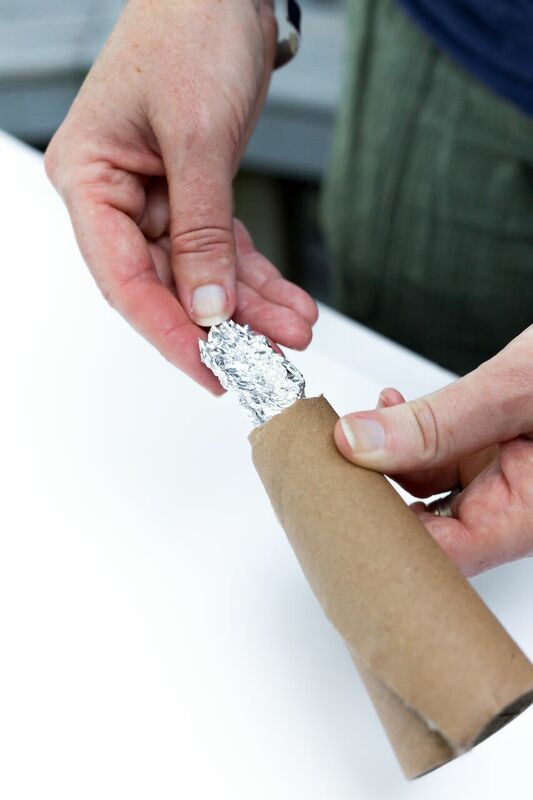 Shape the aluminum foil end of the tube until it curves up to form the cornucopia shape. 8. 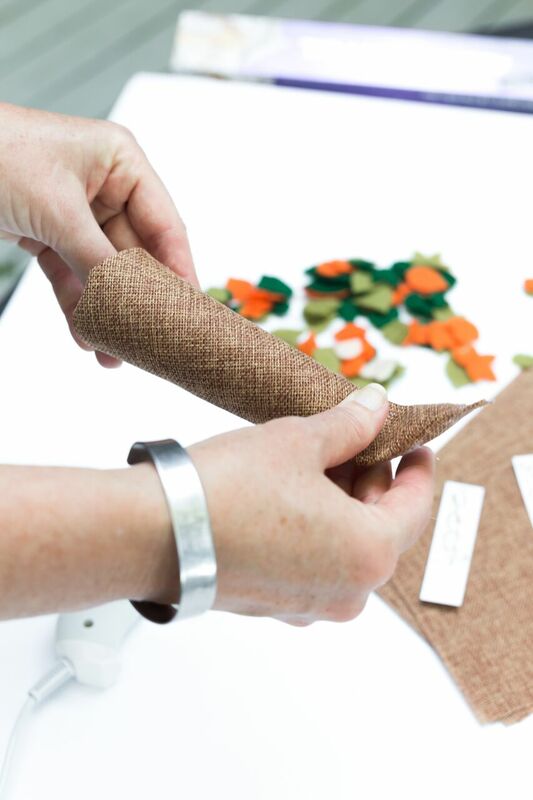 Add felt leaf embellishments to the cornucopia and the place card with hot glue. 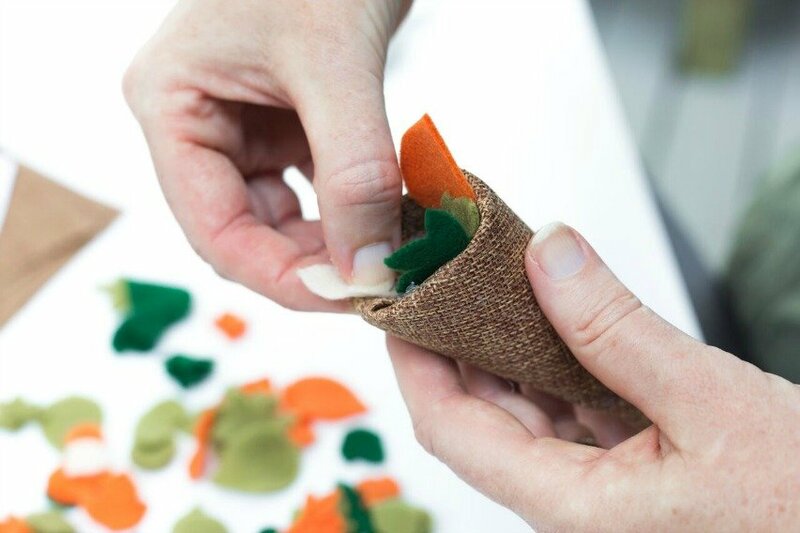 The leaves could be cut with any die cutting machine – I used the Cricut Maker. 9. Adhere the place card to the center of the cornucopia with hot glue. What a great way to celebrate Thanksgiving and the people who will be gathered around your holiday table. Fill with candy to make a fun take home party favor! Looking for the wow factor? 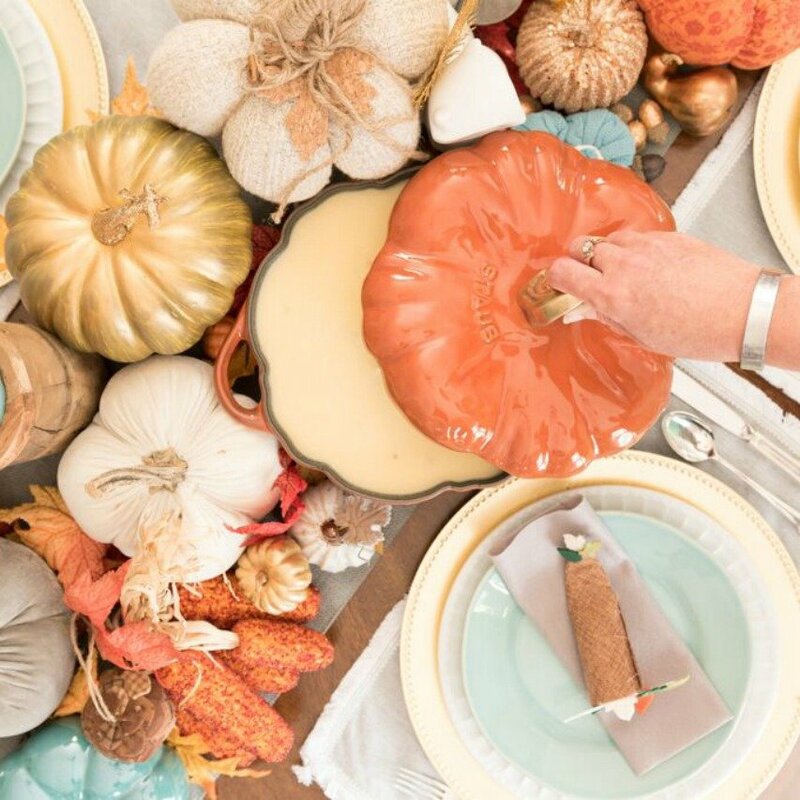 This gorgeous Staub Pumpkin Cocotte is not only a stunning focal point of your centerpiece, you can leave it on your stove top to add a special touch to your kitchen all season long! 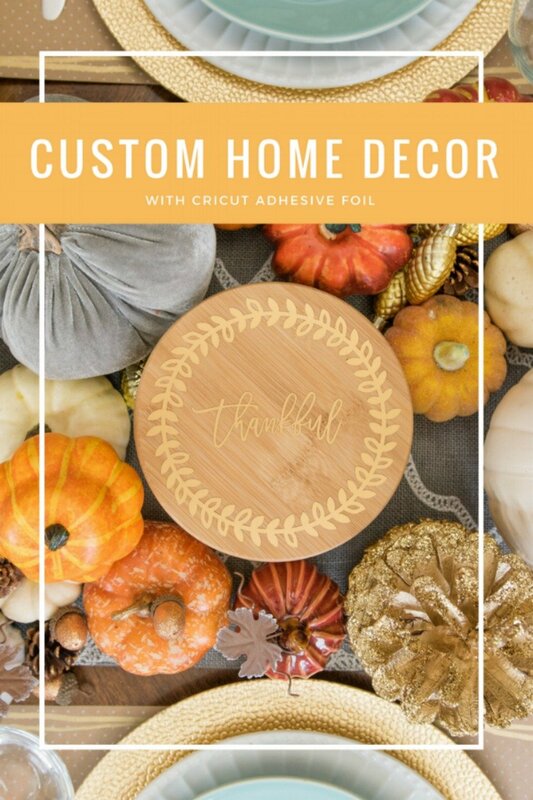 Now, if Cornucopia Place Card Holders are just not enough for your Thanksgiving table, then check out my Create Custom Home Decor with Cricut Adhesive Foil!